Hostname — The name of the endpoint that received the command. Command — The command issued to the endpoint. Parameters — Additional parameters for executing the command, such as the full path name. Date Requested — The date the command was sent from the Management Portal. Status — Either Elapsed or Executed. The elapsed time is 24 hours. 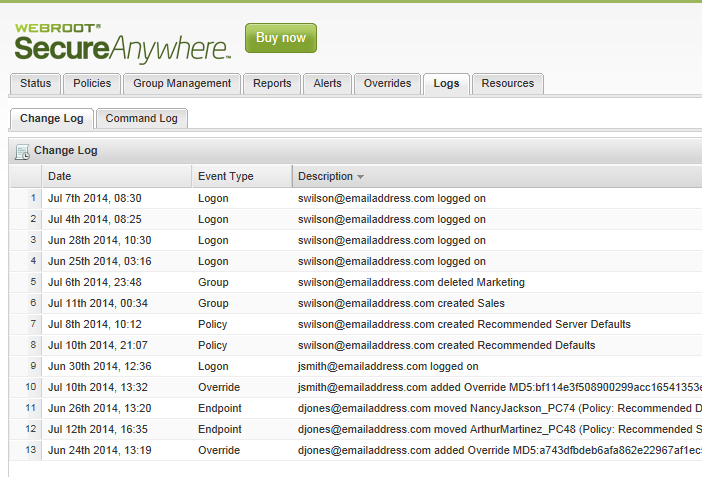 From the Endpoint portal, click the Logs tab. The Change Log displays by default. 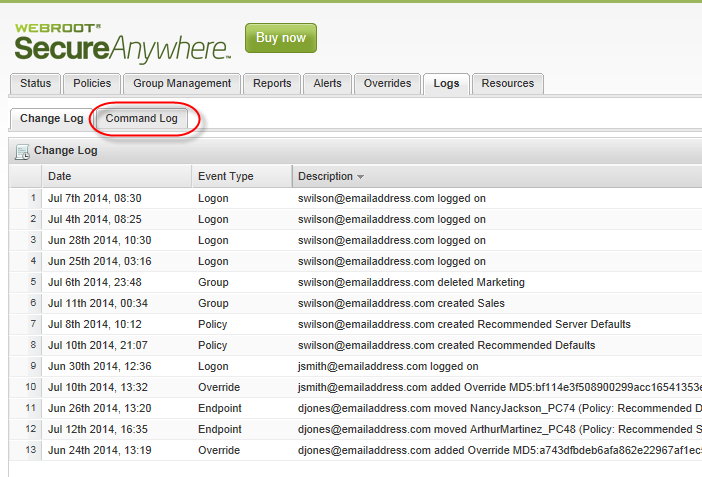 Click the Command Log tab. If the data exceeds 50 items, use the navigation buttons at the bottom to move between pages. To update data, click the Refresh button.